The sheer, blendable blush is mistake-proof. 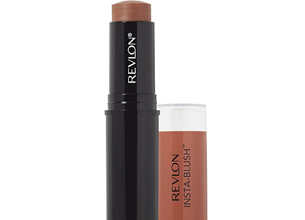 The luxurious, cream-to-powder formula creates a naturally flushed, beautiful kiss of color. Use on the apples of cheeks for the perfect finishing touch to a contoured or highlighted look— Anytime, Anywhere. It feels really creamy and smooth when you apply it on your cheeks. I really love how easy they are to apply and how natural it looks without foundation but it doesn’t really last all day on my skin. I honestly dislike the smell and how it looks when you use foundation, it slightly cracks my foundation. It’s an ‘Okay’ cream blush but, I personally wouldn’t buy it.